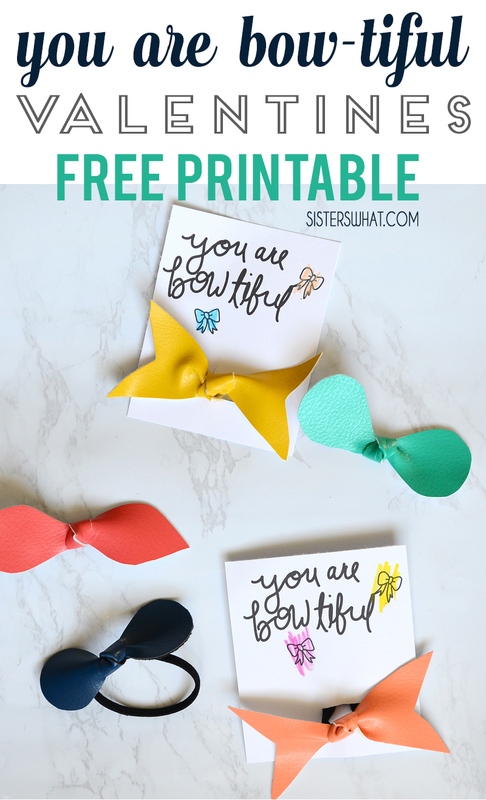 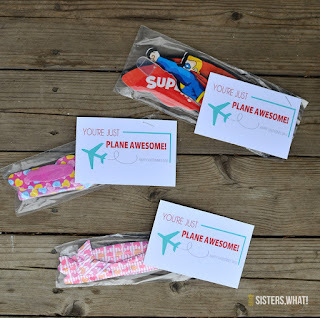 ' Hair Bow Valentine Free Printable - Sisters, What! 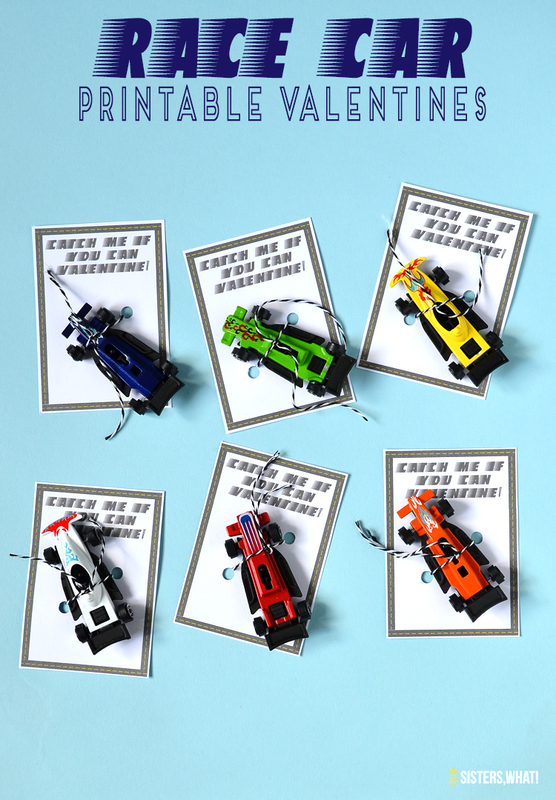 And I do love making valentines with them. 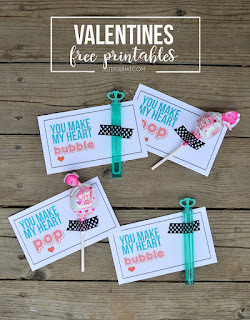 (see past years bubbles valentine, cars valentine, zoo animal valentines) This year, my 3 year old has lots of girls in her preschool, so we are doing bows for them and something else for the one boy. 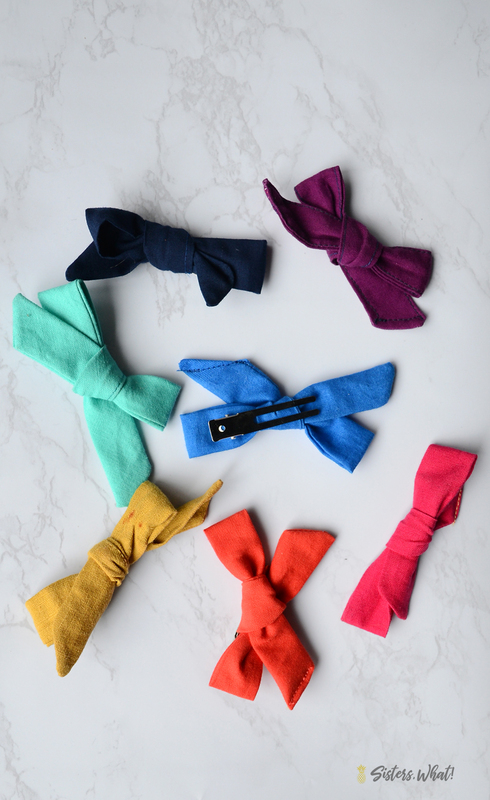 I've been on a bow making kick, and they are so easy so we made a few extra for her friends. 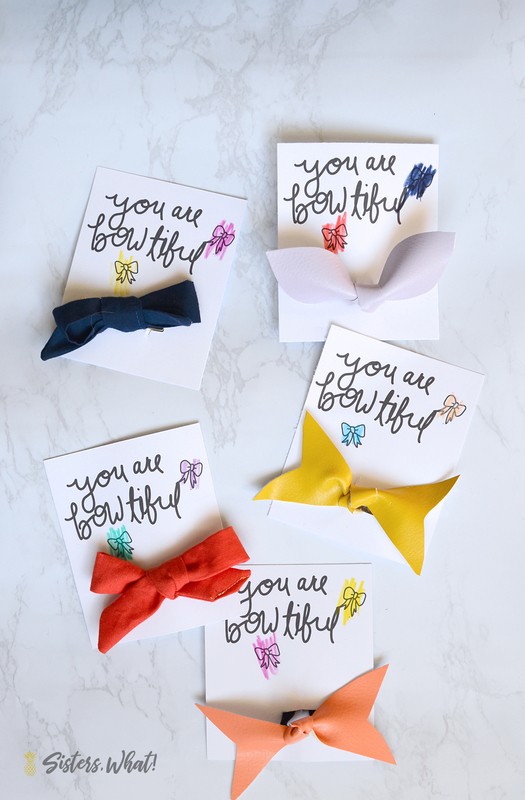 and my skinny hair bows (Sweet Red Poppy has a great tutorial for those). 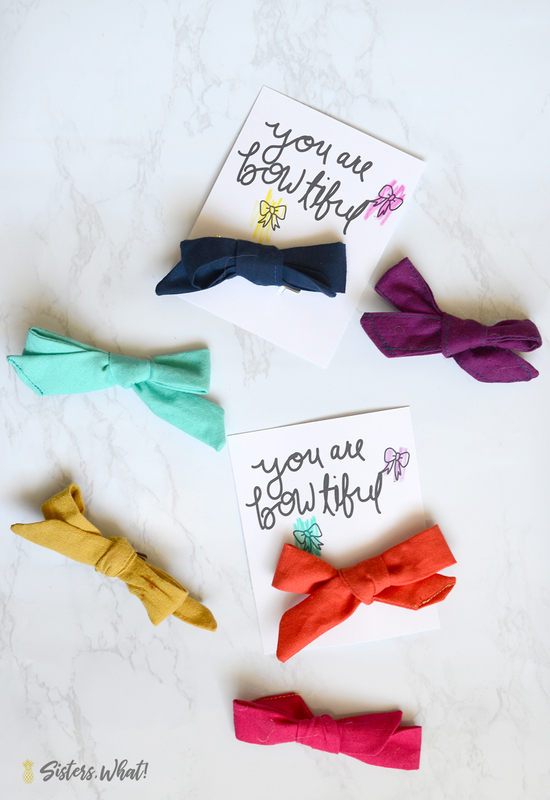 These no sew fabric bows would be great too! 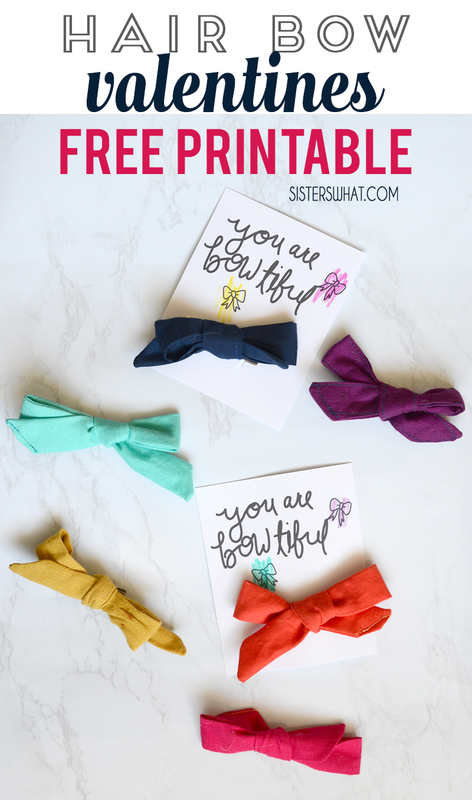 download your own printable below!